You’ve probably had the experience of walking into a store and noticing that it’s been scented with some pleasant fragrance. Unless you were preoccupied with a perfume-induced allergy attack, you probably also thought something along the lines of Nice try, but you’re not going to get me to buy more just by making the place smell like flowers. That may or may not have been true. Some scents do appear to induce people to spend more money or more time shopping, although the study results are mixed. The good news is that background smells can also induce people to do other things. A study I like was done in 2005 by a Dutch team led by Rob Holland, Merel Hendriks and Henk Aarts. They asked university students to sit in a cubicle and fill out a questionnaire about the activities they would do for the rest of the day. Half the students sat in cubicles in which a bucket of warm water containing a splash of citrus-scented cleanser was hidden behind a cupboard; the other half were in cubicles without any added scent. More than a third of those exposed to the scent of cleanser included cleaning-related activities in their plans for the day (compared to only 11% of those in the unscented control group) and none of them noticed the smell. 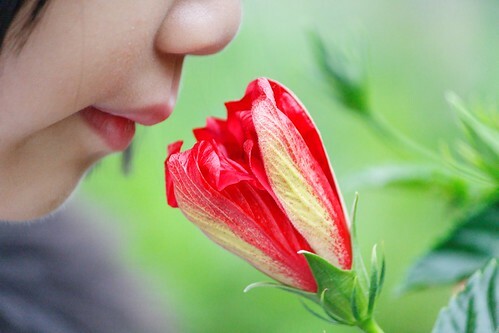 Having shown that an unnoticed scent could affect people’s thoughts, the team decided to see whether it could affect their actions. After filling out an unrelated questionnaire in a scented or unscented cubicle, a new group of students moved to another (unscented) room where they were given a crumbly cookie to eat at a table. Those who had been exposed to the smell of cleanser cleaned their cookie crumbs from the table more than three times as often as those not exposed to it, again without noticing the scent. On one hand, this is a little unnerving. Personally, I’m a bit untidy at home and I’m wondering whether the people around me are going to start secretly spritzing my office with lemon-scented Mr. Clean to encourage me to organize my desk. One study found that in the presence of “pleasant ambient odors” (in this case baking cookies and roasting coffee), people in a shopping mall were more likely to help a stranger by picking up a dropped pen or making change for a dollar. Another discovered that people filling out questionnaires sprayed with the scent of vanilla offered to spend more time volunteering than people whose questionnaires were unscented or sprayed with lavender scent. A workplace study found that pleasant fragrances both improved people’s abilities to do difficult mental tasks and made them more likely to agree when asked for help. I couldn’t find evidence that any single scent is particularly associated with helping, but it does appear that pleasant smells, particularly those associated with food, tend to inspire prosocial behaviours. So, next time you want to encourage people to be generous or helpful, have someone bake cookies nearby. After all, if the scent doesn’t work, at least you’ll have cookies to use as bribes enjoy. « But wait! There’s more!